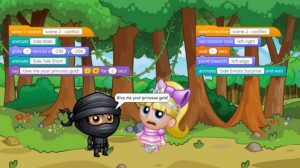 CodeCamp allows boys & girls to develop 21st century skills in a fun and action packed & agile environment. We help develop confidence & initiative through design, creativity, solving problems & collaboration. 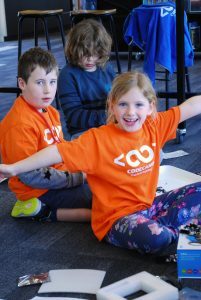 Students get to create games, work with robots & drones as well as design, invent & create prototypes to solve real world problems with electronic building blocks. 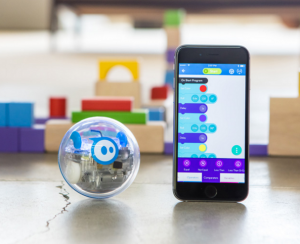 Coding & robotics is a fun & engaging way to teach kids to become independent, computational thinkers and problem solvers. They don’t have to be engineers or programmers, but the objective of this programme is to help them understand how easy & fun it is to solve problems and empower them to create things. For those students wanting to advanced into more serious coding or web development, we have text based coding courses designed to be fun and productive. Students will learn the fundamentals of HTML/CSS & a text based coding language. i.e. Python, Ruby or Swift. Tommy has been really enjoying Code Camp at Brooklyn School this term. 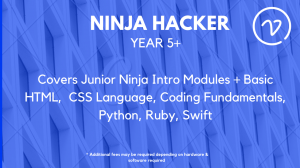 Well done to you and your team, coding is definitely one of the top skills our kids will need in the future to get ahead and you are making it so much fun for them. Thanks for bringing it to Brooklyn, it’s the highlight of Tommy’s week. “Awesome thank you guys. They loved it, much more than any of the computer courses they have been to. “the girls are loving it thanks Peter!!! “I’ve been meaning to get in touch with you to say that Leo showed me a preview of the vlog he’s been working on and I was blown away. It’s hard to believe this is the same kid that 3-4 years ago had lost his confidence and would creep around the back of a class with his hoodie up completely disengaged. Nor a kid that gets a bit of presentation anxiety. I’m so impressed with the work your team have done. You’ve enabled Leo to learn really valuable knowledge and skills without any restrictions from his reading and writing limitations.